There's no better way to spend a balmy tropical evening than on Bali Hai's evening Dinner Cruise. As the sun goes down we set off on a relaxing cruise around the harbour. Take in the cool night air on the top deck, be entertained by our famous strolling Batakos Singers, savour a delicious international buffet dinner, then dance the night away at our disco or enjoy our live cabaret show. Overnight packages from US $ 115.00 p.p. including pleasure cruise transfer, activities and breakfast. Additional nights from US $ 80.00 per hut per night. 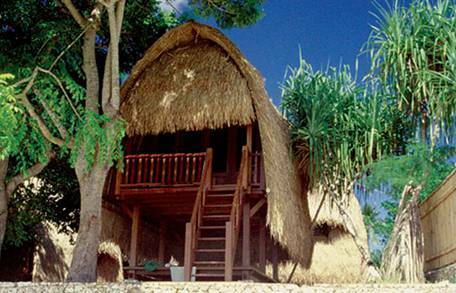 Absolute beach front huts can be confirmed for an additional surcharge of US $ 15.00 per hut per night. A high season surcharge of US $ 15.00 per hut per night will be applied between 15th July and 15th September, and 22 December and 5 January inclusive. 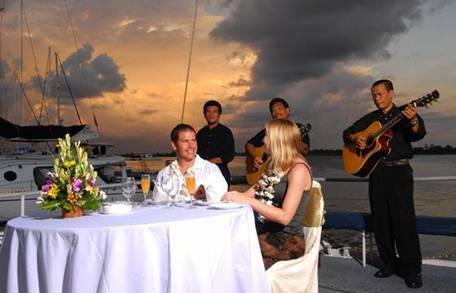 Begin the evening with a champagne cocktail and canapés in our Marina garden then be welcomed onboard Aristocat, our 64ft Sailing Catamaran ,to the sounds of our classical string quartet. 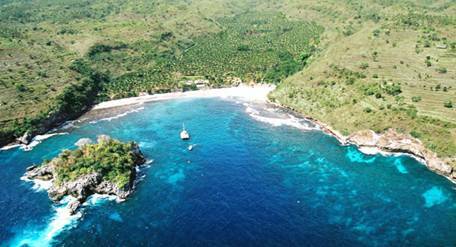 Visit pristine bays, snorkel, swim or go beach combing on deserted beaches. Visit one of the many small seaweed farming villages. 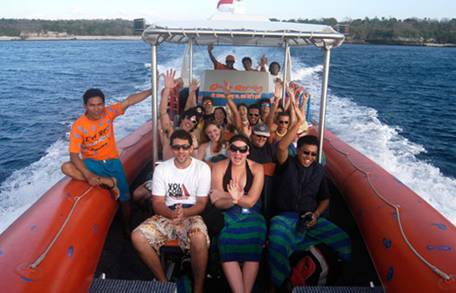 Visit to Lembongan Bay marine park and Bali Hai Private Beach Club. An Australian owned company, Bali Hai Cruises launched in 1990. 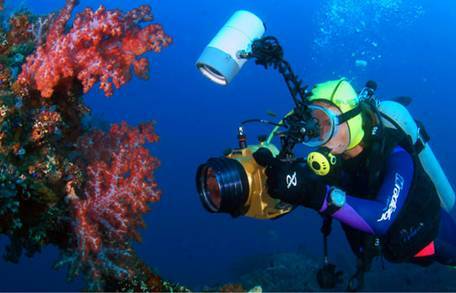 The company is the longest standing and largest premier offshore Cruise Operator in Bali, offering a variety of cruises to the nearby islands of Nusa Lembongan and Nusa Penida. Maintaining high standards of service all current operating licenses and certificates are available for company perusal. 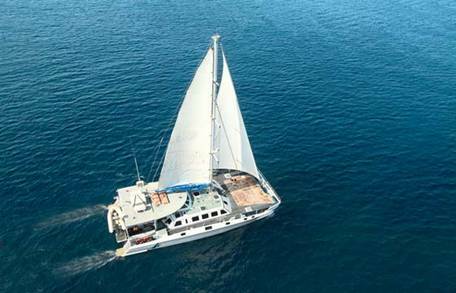 Bali Hai Cruises operate 3 vessels out of Benoa Harbour sailing daily and all available for both group bookings and charter by both day and night. For large groups all vessels can be made available for transfer. Open Promenade deck.Vessel Sailing Time: Benoa - Lembongan approx 40 minutes. 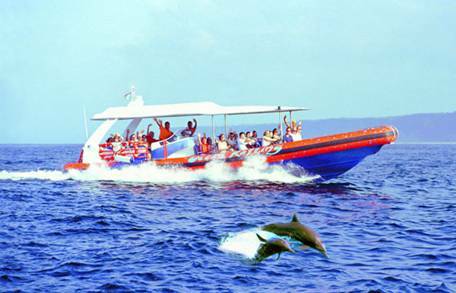 Situated on the coast of Nusa Lembongan this 40x15m 2 deck pontoon is equipped with a 38m curving waterslide, lifeguard supervised snorkeling area, banana boat, underwater viewing chamber, semi submersible coral viewer and optional scuba diving and parasailing. Bali Hai II moors alongside the pontoon and an international buffet lunch is available onboard. Bali Hai Beach Club and Hai Tide Huts are situated on Nusa Lembongan and are the only full facility with beachfront access. This tropical hideaway can hold up to 500 day guests and has 15 air conditioned and traditional Hai Tide Huts for overnight stay. There are 2 restaurants, 2 swimming pools including a swim up bar, a sunset drinks bar as well as a spacious lawn perfect for corporate team building activities. 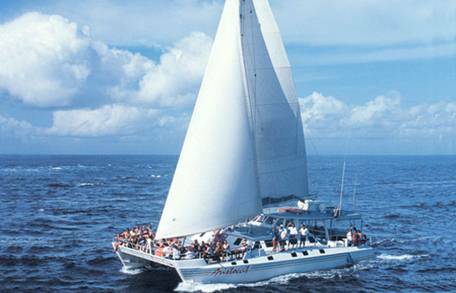 Aristocat sails twice weekly to the remote and unspoilt Crystal Bay on Bali Hai Cruises Castaway experience. The bay is exclusive to Bali Hai guests and offers a haven of relaxation. For group bookings and charter we can arrange a themed Castaway Survivor Challenge day out complete with group tasks such as rafting racing and survival games.